This is an elegant side dish for a holiday meal or brunch. 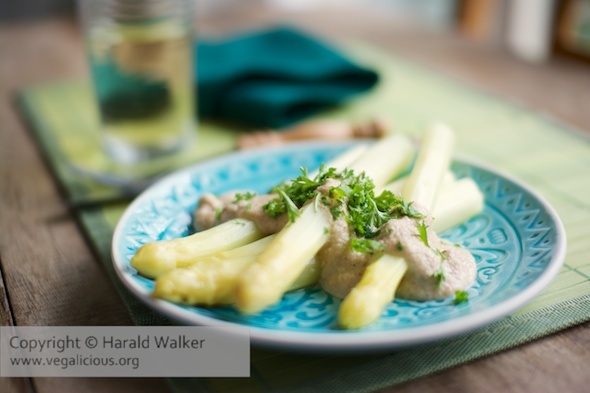 The cashew sauce is mild so it does not overpower the delicate flavor of the white asparagus. Posted by Chris Walker on April 17, 2014 in Asparagus, Cashew nut, Side Dishes.